…and then we began to talk. Asked if I would paint his grandfather, Gordon Tootoosis and further back, Poundmaker, Dylan began to draw out his family tree in my journal. It’s such an amazing thing when I am so intensely involved with discovering my own family tree, to encounter Dylan’s family tree. When I came home, I looked for a book on my shelf about Chief Poundmaker, but found nothing and so yesterday, I purchased this after sharing coffee with my sister friends, the only book on the Chapters book shelf with a chapter written about the great chief of the Cree/Stoney Nation. 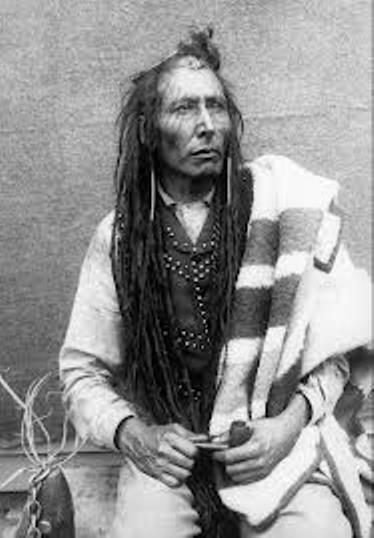 What was particularly unique about Pitikwahanapiwiyin (Poundmaker) was that he was adopted by his Blackfoot contemporary, Chief Crowfoot, at a great time of struggle for their people. A brief history may be read on Wikipedia. It is important not to pull history out of a complete context, so I encourage my readers to explore the background of Treaty 6 and 7 and the Northwest Rebellion…but out of it, I want to pull a few words that touched me. Because of the power of his adopted father, Crowfoot, Poundmaker’s hair was not cut in prison, and he served only seven months. Nonetheless, his stay there devastated his health and led to his death (from a lung hemorrhage) in 1886, at the age of 44. He was buried at Blackfoot Crossing near Gleichen, Alberta, but his remains were exhumed in 1967, and reburied on the Poundmaker Reservation (Cut Knife), Saskatchewan. ^ Mcleod, R.C. (Ed.) (1983). Reminiscenses of a Bungle by One of the Bunglers: and Two Other Northwest Rebellion Diaries Edmonton: The University of Alberta Press, 150. ^ Light, Douglas W. Footprints in the Dust. Turner-Warwick Publications, 1987. ^ Dictionary of Canadian Biography Online (2000). “Poundmaker”. Retrieved January 8, 2007. Chief Poundmaker’s older brother was Yellow Mud Blanket. He also had a young sister. Orphaned young, the three were adopted, likely by their mother’s Cree relations. 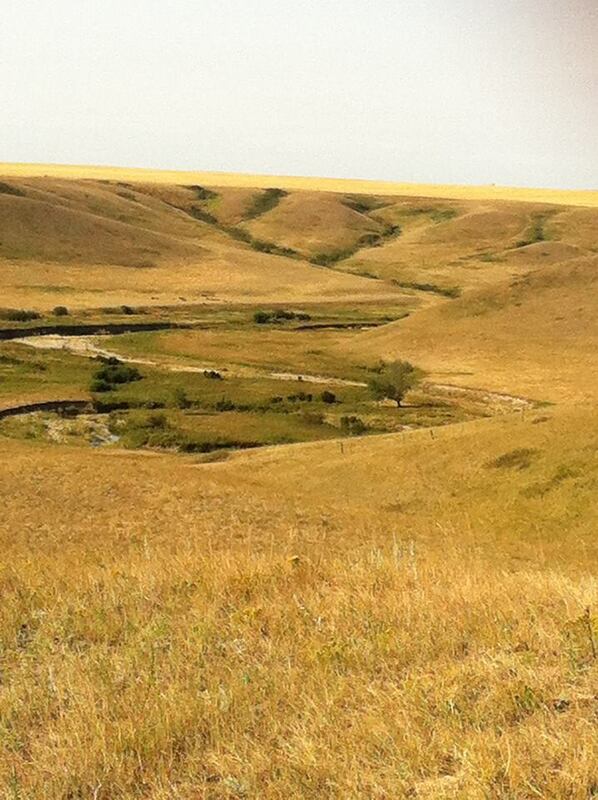 Yellow Mud Blanket was the father to John Tootoosis and so the story goes. John’s son, John, founded and led the Federation of Saskatchewan Indians circa 1958. An excellent time line of events significant to the Cree Nation can be read here. Gordon Tootoosis was a First Nations actor. He was of Cree and Stoney descent. 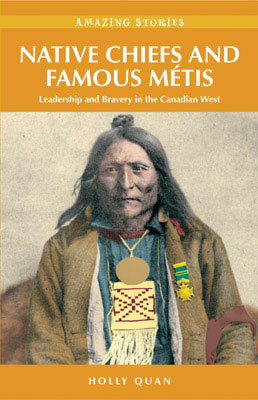 Tootoosis was a descendant of Yellow Mud Blanket, brother of the famous Cree leader Pitikwahanapiwiyin. He was acclaimed for his commitment to preserving his culture and to telling his people’s stories. He served as a founding member of the board of directors of the Saskatchewan Native Theatre Company. Tootoosis offered encouragement, support and training to aspiring Aboriginal actors. He served as a leading Cree activist both as a social worker and as a band chief. In Open Season and Boog and Elliot’s Midnight Bun Run, Tootoosis was the voice of Sheriff Gordy. It was a blessing to have time outside of the Gorilla House, Wednesday night, speaking with Dylan and having him share, in part, his family story. I am honoured to have the chance to paint Dylan’s grandfather and his ancestor, the great Chief Poundmaker. May their family be richly blessed, with well-being and peace. To conclude, some Lakota words that my cousin shared with me today. Because she is such a true and beautiful sister-friend, I must also share a photograph that she captured as she was driving in to work at Stand Off this morning. We ARE truly blessed. Aho, Mitakuye Oyasin…. All my relations. I honor you in this circle of life with me today. I am grateful for this opportunity to acknowledge you in this prayer…. This entry was posted in Family, Friendship, Going Somewhere?, Gratitude, Painting, Reflection, Wellness, Words to Live By and tagged Blackfoot Nation, Chief Crowfoot, Chief Poundmaker, Cree Nation by Painter Lady. Bookmark the permalink. A very moving story. Glad you shared this.